The US withdrawal from the Iran nuclear deal was welcomed by many of the Iranian people. The next step is for the US Administration to support the goals of those involved in resistance against the regime. 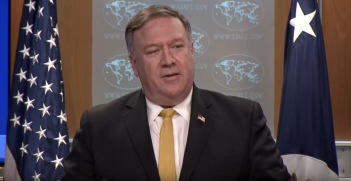 Donald Trump’s announcement that his administration was leaving the nuclear deal with Iran came as a shock to Iranian officials still doing their utmost to keep the Joint Comprehensive Plan of Action alive. At the same time, many Iranians at home and in neighbouring countries welcomed the decision by the U.S. president. 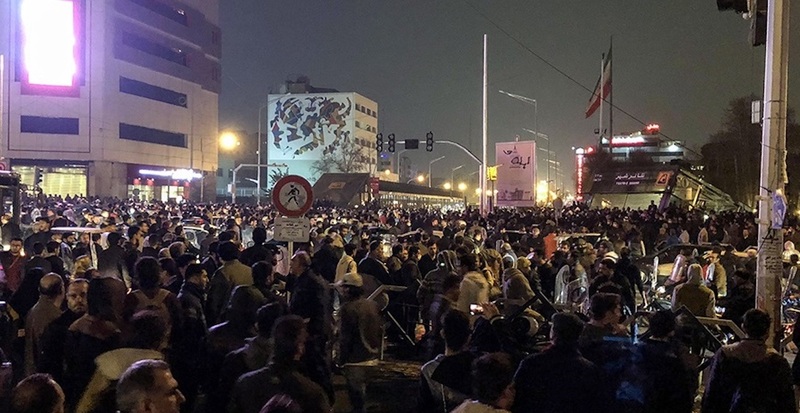 The long-standing disconnect in Iran between the mullahs (religious clerics) and the people has finally resulted in a flare-up of continuous protests across the country. Regime change in Iran would be to the benefit of all. For the past four decades, the Ayatollahs (high-ranking clerics) have poured the wealth of Iran into acquiring the atomic bomb and funding terrorism. This has ruined Iran’s economy and has pushed the Iranian populace into destitution. The Iranian people and their organised resistance are struggling to get their country back. Thus, the denouncement of the nuclear pact should extend to other fields of atrocities in which Iran’s mullahs have a share of the blame. Abrogating all kinds of open or hidden support for enemies of the Iranian people should sit firmly on the US agenda. In January this year, the US Justice Department said it would establish a “financing and narcoterrorism” team to look into Hezbollah’s role in drug trafficking operations, as well as the individuals and organisations that provide financial support to Hezbollah. The move came after Politico reported in December 2017 that the Obama administration sought to hamper a Drug Enforcement Administration operation targeting Hezbollah in order to facilitate negotiations related to the 2015 Iran nuclear deal. The UK-based European Iraqi Freedom Association (EIFA) reported that Iran has been able to gain substantial influence in Iraq since 2013 and now it spends significant amounts of money in support of its favourite candidates. The statement added, “Iran’s weighty influence on Iraq’s elections is part of a broader strategy of destabilizing the Middle East” EIFA and concluded that Iran’s hegemony in Syria, Lebanon, Yemen and Iraq is a threat to peace not only in the Middle East but to the whole world. The main instrument for the Ayatollahs in Tehran to pursue their fundamentalist goals is the Islamic Revolutionary Guards Corps (IRGC). The paramilitary organisation is considered the Supreme Leader Khamenei’s right hand. For almost four decades the IRGC has sponsored terrorist organisations in the region. It also controls a huge part of country’s market and production, running many Iranians out of business. The IRGC is the main force that has kept Bashar al-Assad on his feet in Syria and is behind the meddling in countries such as Iraq, Yemen and Lebanon. The IRGC and its proxies should be expelled from Syria, Iraq, Yemen and Lebanon. In the 37-year fight against the regime, the Iranian resistance and in particular the political-militant organisation People’s Mojahedin Organization of Iran have lost many of their members to achieve their goals. There is no doubt the Iranian people’s resistance and their uprising will only get stronger. A step forward after leaving the nuclear deal is for the US Administration to support the goals of the resistance. All the obstacles left by the former US administration should be dismantled. Nikoo Amini is a human rights activist, journalist and news editor at Iran News Wire. She tweets from @nikooamini. 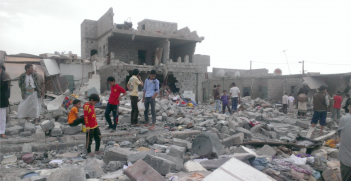 Hodeida: The Beginning of the End of the War in Yemen? The battle for the port of Hodeida is pivotal for the ongoing conflict in Yemen between the Houthis and the Saudi-led coalition. 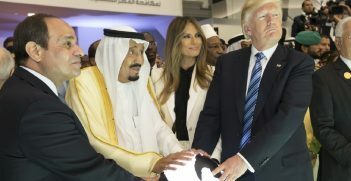 The difference between a maverick foreign policy and an ill-conceived one can often be fine but recent ambitious Saudi maneuvers have leaned toward the latter. What can we expect from the Kingdom in 2018?